I have to say, I’m having an absolute ball with the Elf on the Shelf. So are the kids. At a time of year when getting any response out of them (on ANYTHING) is like pulling teeth, they come into the classroom every day and the first thing they ask is ‘Where is she?‘ And then they write in their elf journals without complaint. I’ve only got 5 days until I farewell my current class for another year (yes, there will be tears) and it’s a pretty special daily activity that we’ve been doing all December long. Here’s a recap of this week’s adventures! We finally got our Aussie Animals Collector’s Album. (One of our Supermarkets ran a promotion earlier in the year giving away free animal trading cards – they’re FABULOUS – and we collected 2 complete sets as a class!) Elfina decided to share some facts with Hello Kitty and Eddie the Teddy! One of the boys bought Elfina a Christmas present, so Elfina wrote a thank you letter and hung out with the Toy Solider. She then took a spin in a very spiffy-looking car. Not sure she has a license, though. … only to be blown down by a gust of wind coming through our window! … and she replied to us. They were VERY RELIEVED when we got back to the classroom. Then she had a minor parachuting accident on Thursday. The kids’ theory was that she was coming back from the North Pole and got stuck on our ceiling fan. A few very clever little kids suggested using our feather duster handle to help her down without touching her! On Friday we witnessed The Great Marshmallow Fight of 2013. Elfina vs. Hush (from Possum Magic) and Wally (our take-home wombat from Wombat Stew). This was VERY popular! And that’s it for another week! 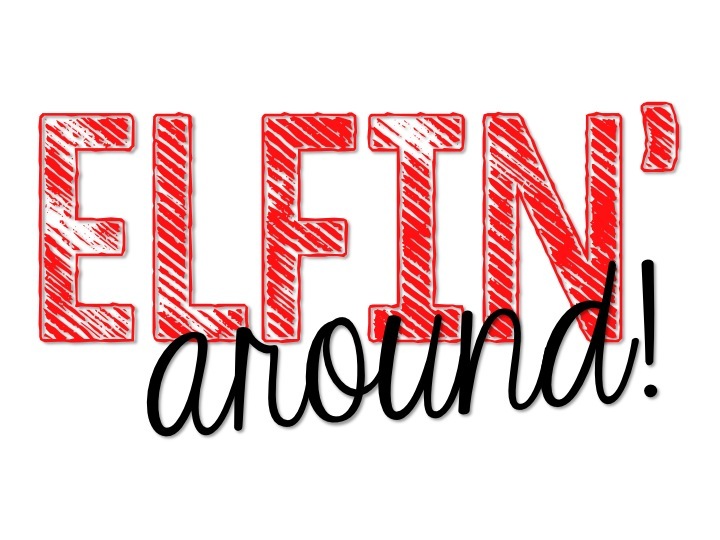 My next post will probably be AFTER I have said goodbye to my kiddos – it’s a very busy week – but I’ll be back to share the final chapter of Elfina’s adventures. Yes, folks, I am jumping on the bandwagon of the Elf on the Shelf – and what a fun bandwagon it appears to be! I’m super excited about it. I’ve even plotted out the different adventures our elf will have in my diary so that I remember. We talked about how Santa knows who’s been naughty and nice. I got some really great responses, like the Santas in the shopping centres are actually reporting back to the real Santa at the North Pole, and that Mums and Dads and teachers also report to Santa. Then we talked about Santa’s special helpers and how sometimes – if kids are really good – Santa sends a special elf to watch over the classrooms. … it worked like a charm. Can I just say, my kiddos are SUPER excited and can’t wait for our elf to make their Grand Entrance on Friday. I’ll be sure to post some photos of what the elf gets up to! But, in the meantime, I have a freebie for you – for those of you who have your very own Elf on the Shelf. (And even if you don’t, this would make a cute creative writing task!) Plus, hey – FREEBIE! 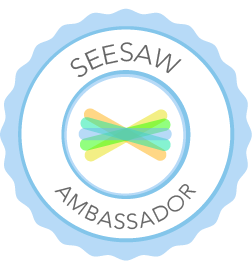 Simply click on the image above to download your freebie! Put Your Ducks In Order! Oh, my – another long absence from my lovely blog! I blame the fast-approaching, end-of-year craziness that seems to sweep in mid-October every year! Today I’m popping in to bring you a sneak peak at my newest pack. It’s been a loooong time in the making and I finally got it finished over the weekend. My kiddos recently completed a unit on ordinal numbers, inspired by the fabulous Eric Carle story Ten Little Rubber Ducks (if you haven’t read it, please DO. Quickly!). 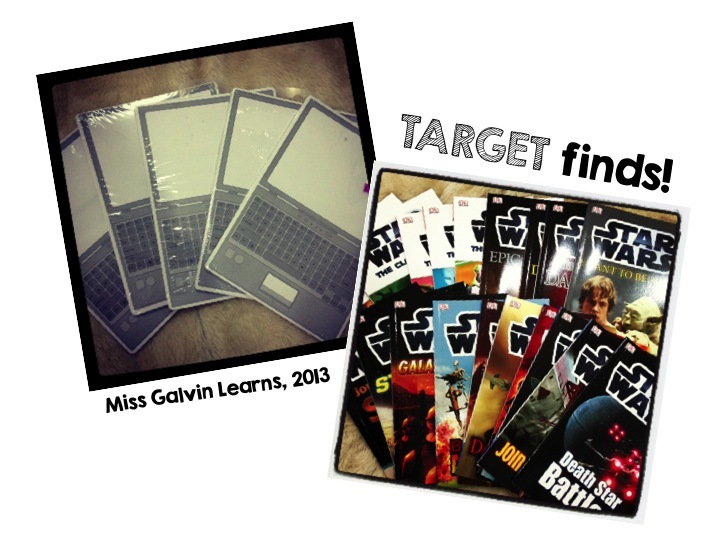 This pack contains a lot of resources – both for classroom display and for student use (both materials that can be laminated for multiple use and also print and go materials). 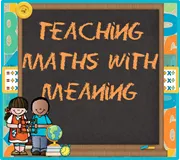 There’s also a class book that adds some reading, writing and craft to an others math-based pack. If you’re after some fun and engaging activities to practise reading, writing and ordering ordinal numbers to 20th, I’d love you to take a look! Plus, it’s on sale for the next 24 hours! Click here to view Put Your Ducks In Order! 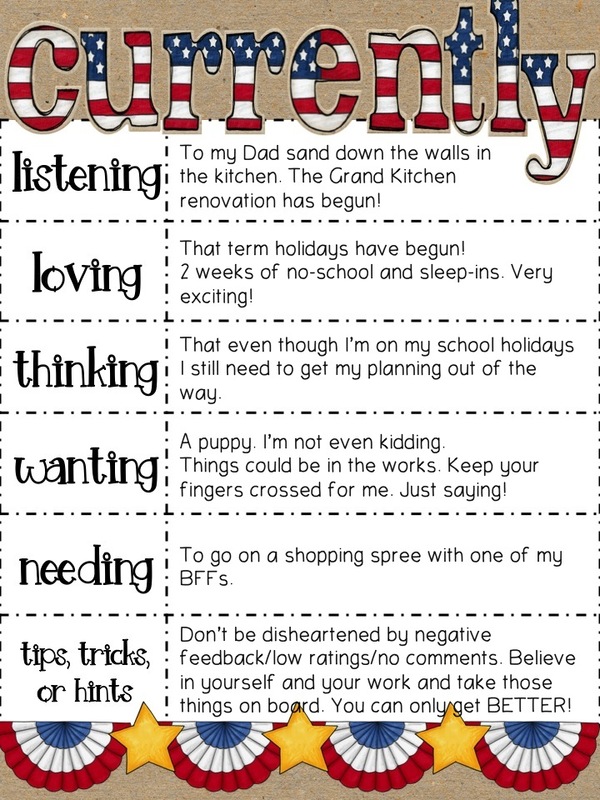 It’s been really interesting reading all the Back to School posts from those of you in the Northern Hemisphere. We’re already half-way through our third term here in Australia (and my oh my, what a busy third term it’s been!). I’ve been a little lax in posting due to extra jobs I’ve had to do in relation to our school concert which is next week. 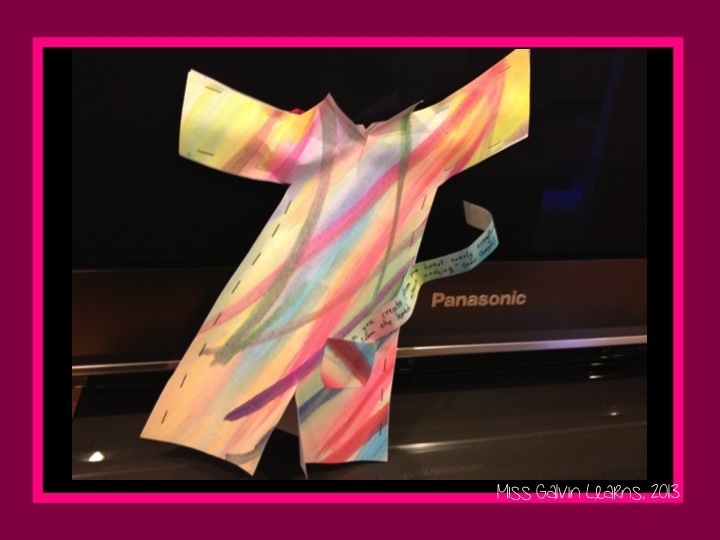 Costumes, sets, choreography (of which, I did very little – my Grade 1s came up with a fabulous dance!). And now I’m home sick, trying to get over this ridiculous cold that I’ve had for over a week. 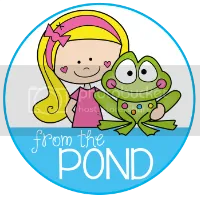 But, it means I can catch up on posts, and also share some new alphabet packs that I’ve been working on that would be perfect for back to school! 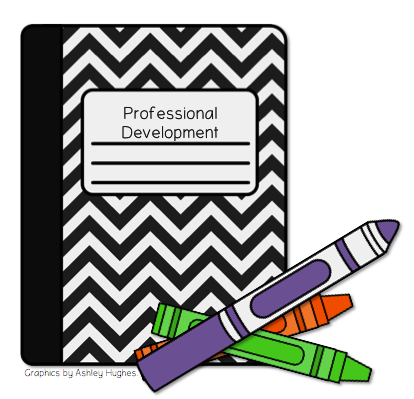 Click on the cover images to see them in my TpT store. 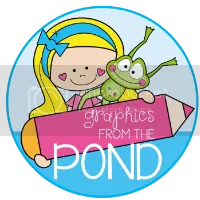 All these packs feature the awesome Alphabet Clipart by Graphics from the Pond! 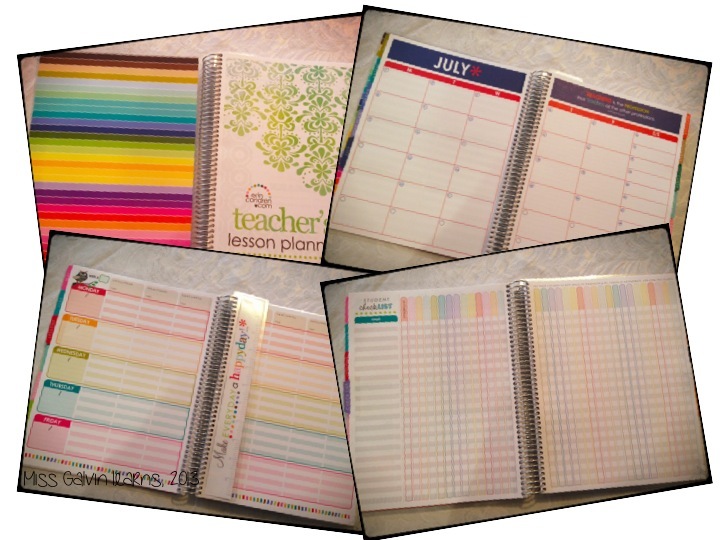 You can also find all of these packs in my TeachersNotebook Store. It’s been positively AGES since I posted. At least, it feels like it anyway. So, today I’m going to share with you a whole lot of things that have been happening over the last few weeks. Those of you who follow me on Facebook/Pinterest/Instagram have probably seen most of these already (but I’ll explain some, too!). I apologise in advance for the load of pictures! 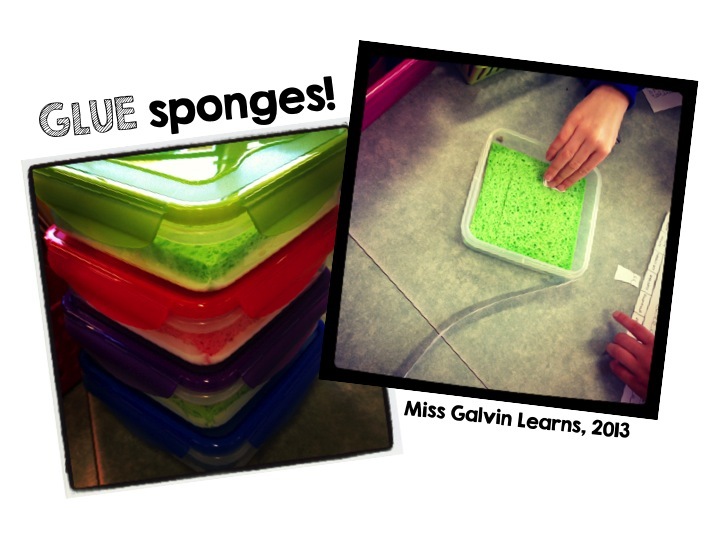 Ages ago I watched Mr. Greg’s video tutorial for making glue sponges, and made up one for each table in my classroom over the school holidays. Last week my Little Smarties used them for the first time. Oh, my goodness – can anyone say FANTASTIC idea?! 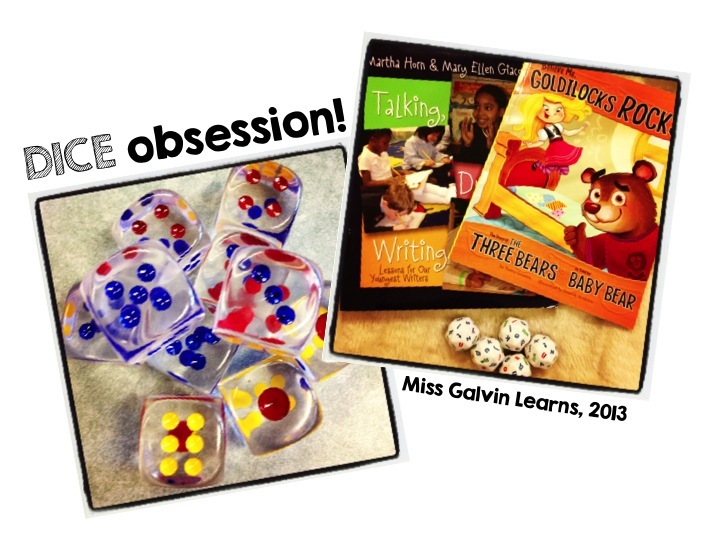 They’re such a hit, and my tables have been glue-free all week long! Our school runs a play-based learning program (Investigations) three times a week for our Prep students. This semester I’ve been put in charge of the dramatic play and sensory activities (woohoo!) and my first dramatic play space to set-up was the Post Office. 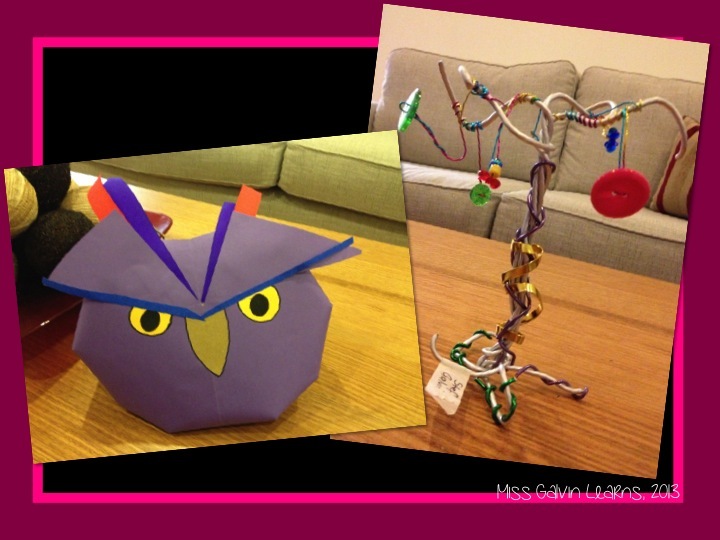 Take a look at my fabulous post office box! I’m very proud of it. One, repurposed cardboard box (and a few other box bits), some spray paint and a printed label and it’s all good to go. I also added old stamps that my Mum was clearing out so kids could put REAL stamps on their postcards and letters, plus I found processing stamps for the kids to process the letters at the post office. 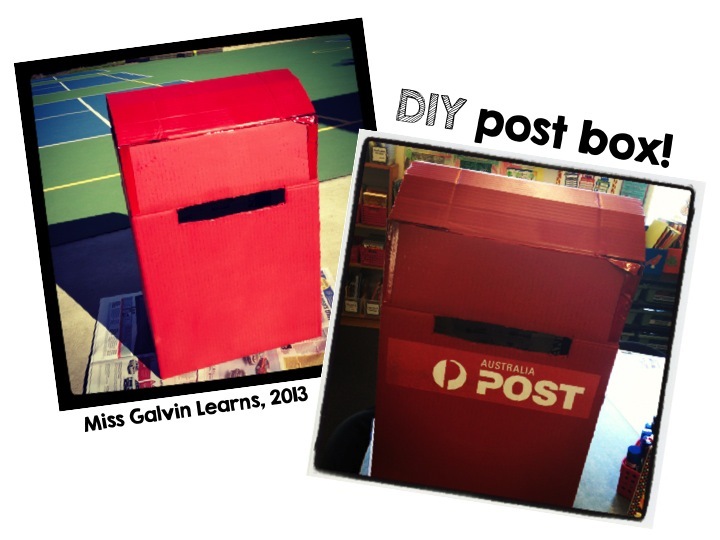 All the classes decorated their own letter box and kids get to deliver them each day. 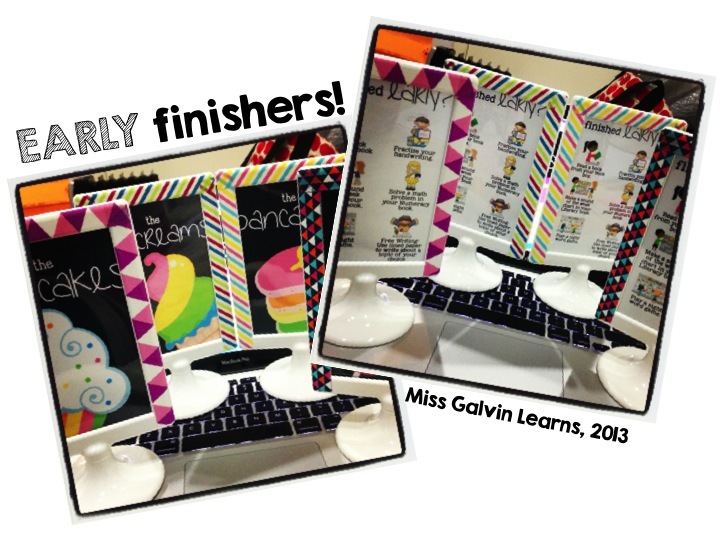 These are my new table names, made out of IKEA free-standing picture frames and decorated with washi tape! One side has the table name – Pancakes, Lollipops, Cupcakes and Ice-Creams – and the other side has work options for early finishers! If anyone’s interested in these signs, let me know and I’ll upload them for people. So, I have a bit of a shopping habit. I’ve mentioned this before. Anyway, I found those awesome notepads above – little laptop screens and keyboards – for only 83c from Target (which, if you’re from Australia, you’ll know Target RARELY sells anything for $1 or less!). I bought ten a few packets of them! I’m on a bit of a dice kick at the moment. Absolutely loving them. Found the clear dice at the local dollar-type store (5 for $2.50) – they’re about twice the size of a normal dice and very cool. Plus, the lovely Alison from Teaching Maths with Meaning kindly collected some Alphabet dice for me while she was in the U.S. recently. And I’ve been inspired by the recent book studies going on, so I’m eager to get started on Talking, Drawing, Writing and The Next Step in Guided Reading. I’m also collecting fairytale alternatives for Term 4’s unit. 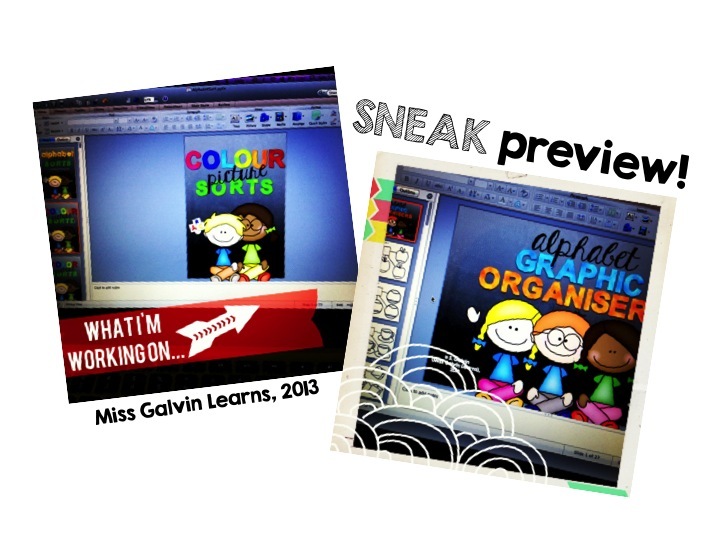 I’m also hard at work getting these two activity packs ready to upload onto TpT and TeachersNotebook. There may be some giveaways going on later this week. Stay tuned folks! Wow, if you’ve made it to the end, I’m SO impressed! On a completely un-related to school note: a friend of mine is raising the starting funds for his film writing debut (The Blind Truth). It would be awesome if you could stop by, have a read, and consider helping out! But it’s a problem that makes me HAPPY! Look what arrived in the mail today – perfect timing on July 1st! Oh, my goodness! How exciting! Look at my goodies! 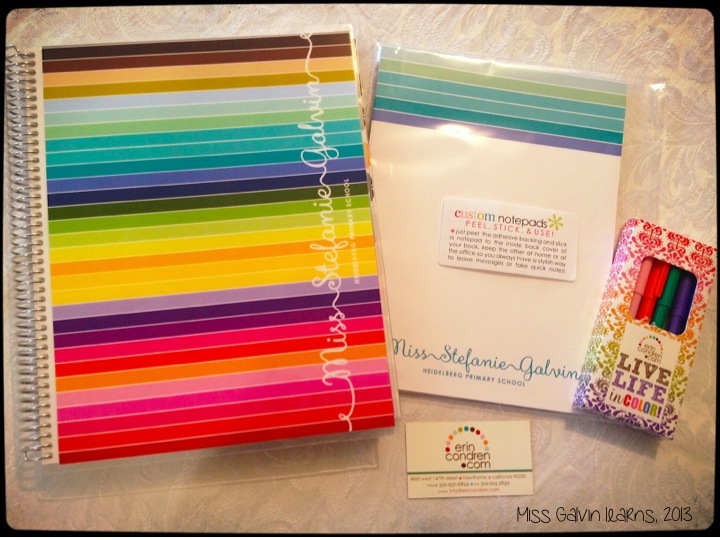 Erin Condren Teacher Planner, pens AND extra notepads (because I love to scribble down notes!). Yes, it cost me money I probably should have spent… but I did buy it after I finished writing reports. And yes, $40ish dollars is expensive for shipping, but I’ve paid more for less and this thing is SO lovely that it will be used inside/out and loved to death by next year. So I figure it’s worth it! Look at the inside awesomeness! Granted, it’s a July-June planner (and here in Australia we work from Jan-Dec), but this gorgeous little thing will see me through the rest of this school year, and continue to serve me well into the next school year in 2014. That’s my story, and I’m sticking to it! 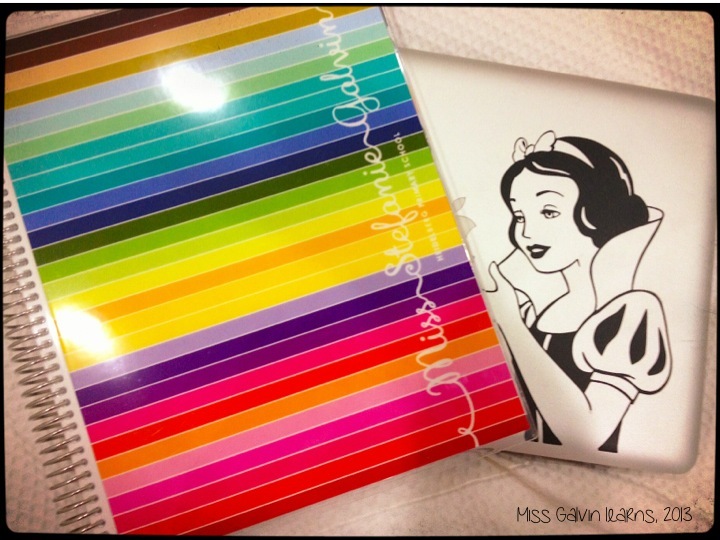 So now I have 2 major loves in my life – my Teacher Planner AND my MacBook Pro. If this isn’t incentive enough to stay organised, I don’t know WHAT is! Plus, I did go to see Man of Steel and loved it. Even liked Russell Crowe, and I’m not a big fan of his. Amy Adams is the best Lois Lane I’ve seen in ages. And then… I may have done a tiny bit of shopping. Shhh! Don’t tell anyone! 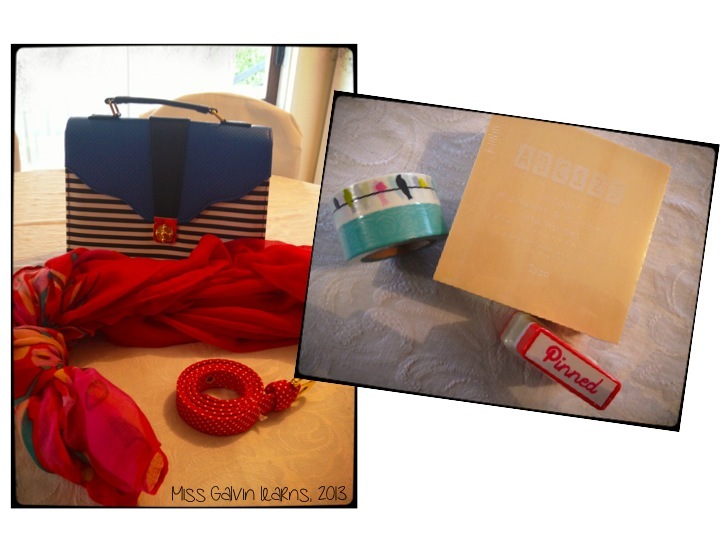 I got the beautiful bag, scarf and belt for only $50! Love! Then, I added to my Washi Tape collection (okay, so maybe I have MORE than one problem…), picked up another set of alphabet stamps for the classroom, AND found a ‘Pinned’ stamp (only $1) from Typo! And that’s how I’ve spent the first official day of my mid-term break! What’s been the highlight of YOUR day? I’m rather excited this evening. I’ve been booked in to Primary English Teaching Association Australia’s (otherwise known as PETAA) 2013 Melbourne Conference! 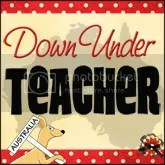 It’s entitled Teaching Language and Literacy through Literature and is addressing the new Australian National Curriculum. There’s a couple of really interesting plenary sessions, but I’m really interested in attending a workshop entitled Writing is not rocket science: when teachers model writing. I love teaching writing, but I’m convinced I could be doing a better job and this session sounds great. Anyway, if anyone else (in Melbourne) is attending, let me know!